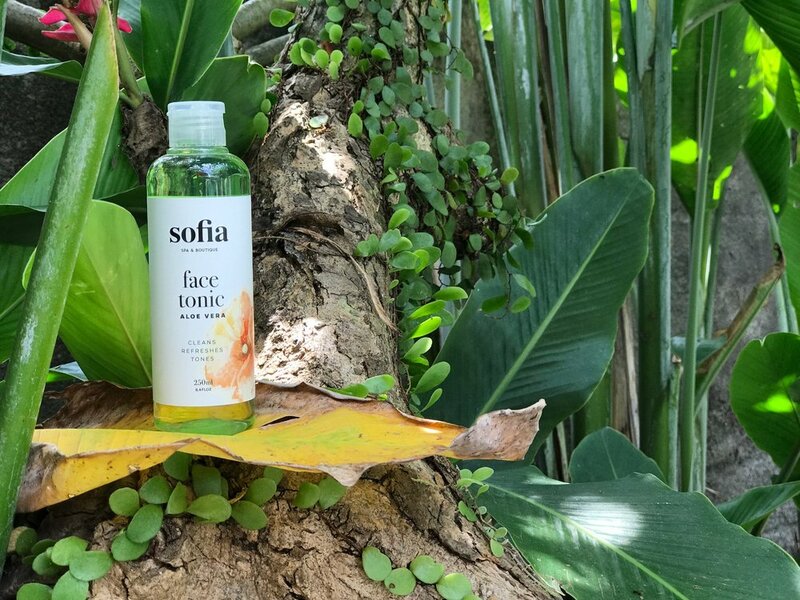 Sofia Spa has developed its own range of cosmetics; Inspired by the generosity of Balinese nature. We have selected ALOE VERA as the main component of each of our cosmetics. We associate the essential oil of ROSEWOOD for its anti-aging virtues. Our range of 7 SOFIA COSMETICS (face and body) is available in our Sofia Shop, so you can continue to take care of yourself at home. For over 5000 years ALOE VERA has been used for cosmetic purposes. ALOE VERA is 99% water and has a pH level of 4.5 (close to the skin). The remaining percentage is composed of various elements (vitamins, enzymes, minerals, sugars, anthraquinones, lignins, saponins, sterols, salicylic acid and amino acids). ALOE VERA promotes the growth of the skin's fibroblasts cells which produce collagen. It has a firming effect on the skin tissues and slows the appearance of wrinkles.